diesel glow plug 12v double filament. Despite its 12V nominal voltage this glow plug can also replace lower voltage glow plugs, thanks to its fast speed and self regulating feature. 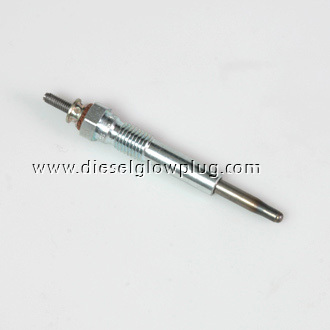 This double filament glow plug is usually used on japanese diesel engines, see cross references list and application below for more info. It's 100% tested on production line by automatic machines and lifespan tested according to oem protocols.